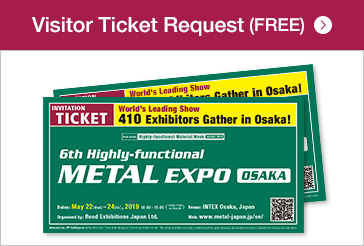 Japan's Largest* Show for Highly-functional Metal! All visitors need a Visitor Ticket to enter the show. Register now and get one for free. 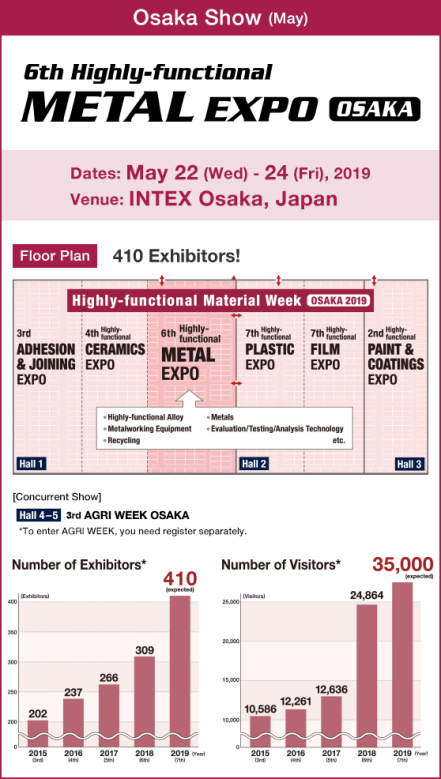 The show gathers a wide range of highly-functional metal materials and processing equipment, testing/analysis equipment, recycling technologies, etc. 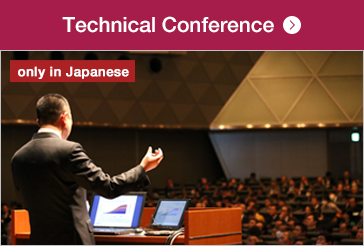 It is held twice a year in Osaka and Tokyo. This floor plan may differ from the actual one. The numbers of exhibitors are expected. *Total of Highly-functional Material Week **Including concurrent shows. 2019/03/22 [Osaka Show] Group Visit Application (More than 5 people) started. 2019/03/08 [Osaka Show] Hotel Information available. 2019/02/04 Official Website has been renewed! 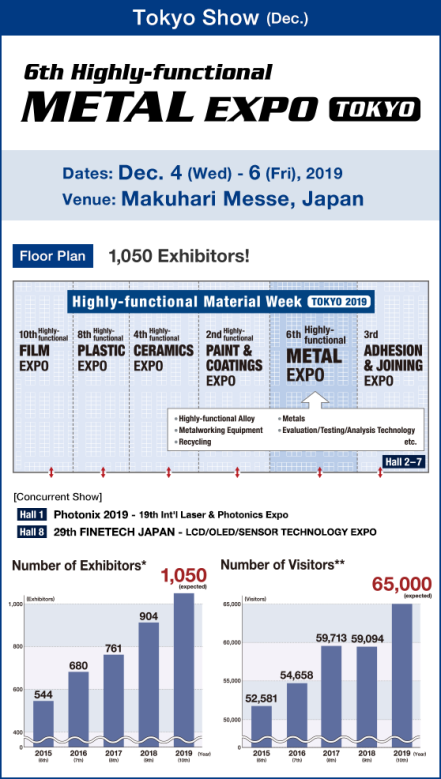 The numbers of exhibitors, visitors and sessions are forecasts, released on Feb. 1, 2019 and it may differ from the actual numbers at the show. 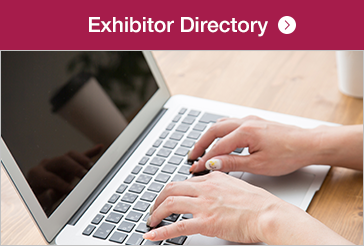 The number of exhibitors includes co-exhibiting partners, group companies and association members.